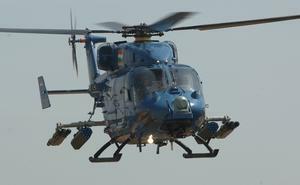 Equipped with Shakti engines, the Advanced Light Helicopter Dhruv Mark III also features a second generation Active Vibration Control System (AVCS) with bi-axial force generators. The Weapon System Integrated (WSI) variant of the helicopter is equipped with: armor protection against 12.7 mm rounds; a 20 mm nose-mounted turret gun (by Nexter in France); rocket launcher (FZ, Belgium); air-to-air missiles (MBDA, Fance);, and air-to-ground missiles. Targeting systems for both day and night include electro-optical pod (Elop, Israel) and Helmet Pointing System (Elbit, Israel). The aircraft can be fitted with an electronic warfare suite (Avitronics, South Africa), flare/chaff dispensers (BDL, India) and an IR jammer. Fuel capacity and slung load are 1055 kg and 1500 kg, respectively. 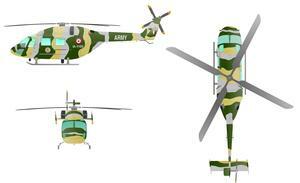 Passenger capacity of the aircraft is 12-14 in addition to the crew. 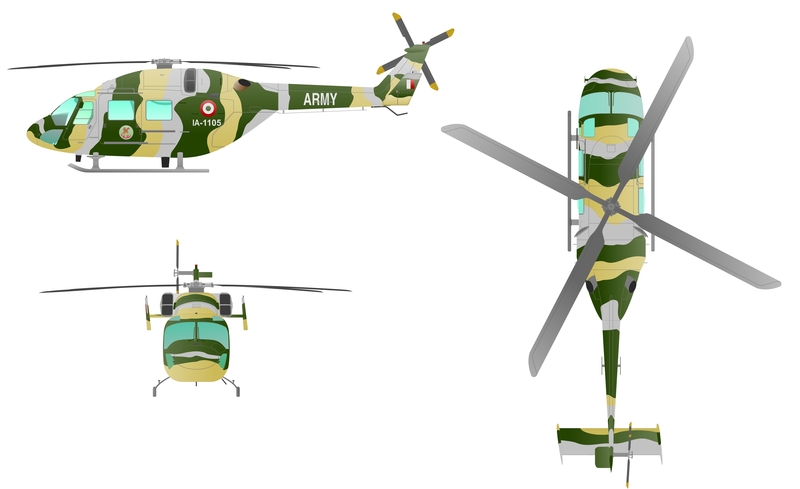 Resources related to the ALH Dhruv Mark III, provided by the Vertical Flight Society. 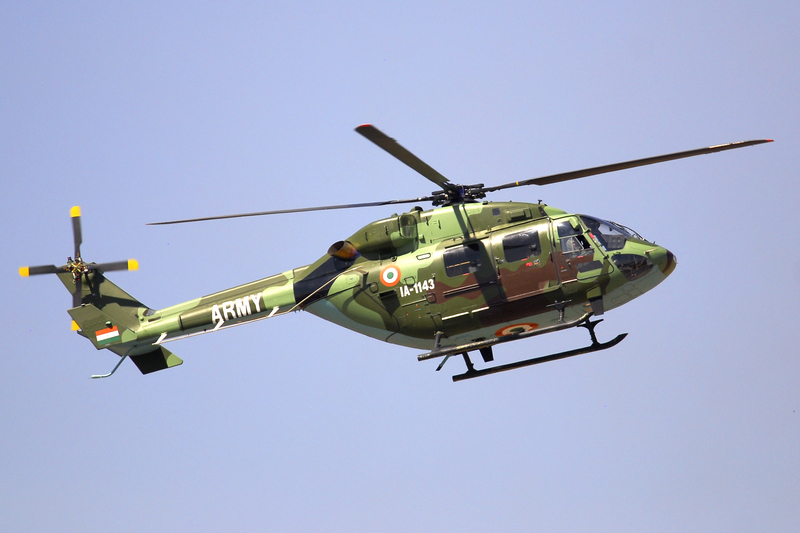 Resources related to the ALH Dhruv Mark III, provided by public sources across the internet.